Treatment Room design to include readily accessible computer screens that allow in-office/in-chair education. Designed to facilitate improved understanding of the current condition, causes and treatment options. DVD education is also in production to improve quality of education for take-home review. The better you understand the cause and treatment options of your condition, the greater success we have together in optimizing your daily functioning. Medicine is constantly changing with new advances and better techniques, however, many of the tried-and-true techniques continue to provide the best patient care. It is with great pride that the best techniques are utilized, including regular constant progress to newer techniques, when they provide better patient care. Resources are constantly allocated to ensure Mountain West Foot & Ankle Institute always utilizes the techniques or treatments with the best scientifically proven efficacy. You deserve the best possible care, and our goal is to provide you that deserved care. 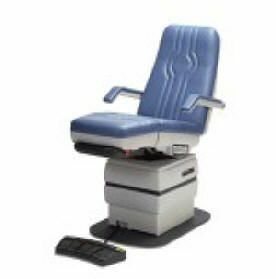 Specially designed podiatry treatment chairs are utilized to make your visit comfortable, while making positioning for treatments easier. A medical visit is never desirable, but Mountain West Foot & Ankle Institute is designed to make it comfortable. You deserve comfort as we work together to optimize your daily routines. Your health is important to us. Sterile equipment is utilized for in office procedures at all times. Care is utilized to ensure all instruments are clean, through ultrasonic cleansing and then sterile through autoclaving. Instruments are never reused without undergoing both cleansing and sterilization. Many instruments are even single use to ensure sterility.